Cost transparency is one of the big issues on the pensions agenda at the moment. 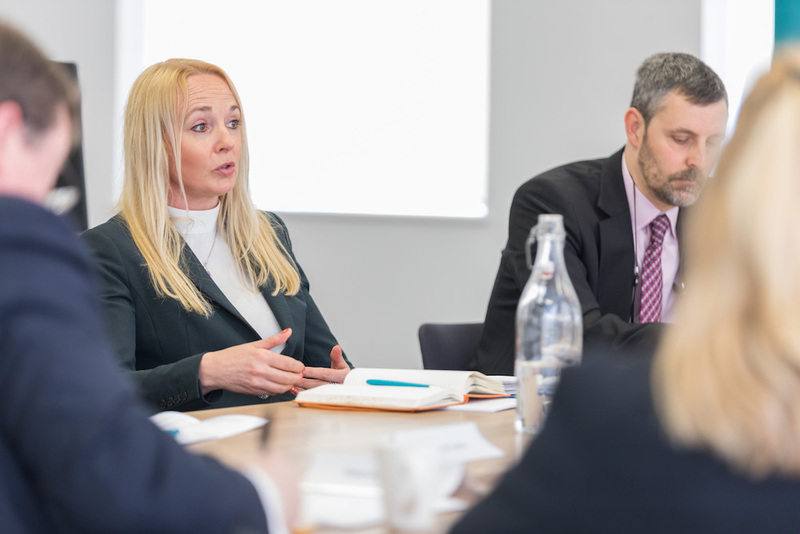 As key participants on the Institutional Disclosure Working Group, we’ve been at the heart of developing standardised disclosure that works for you. 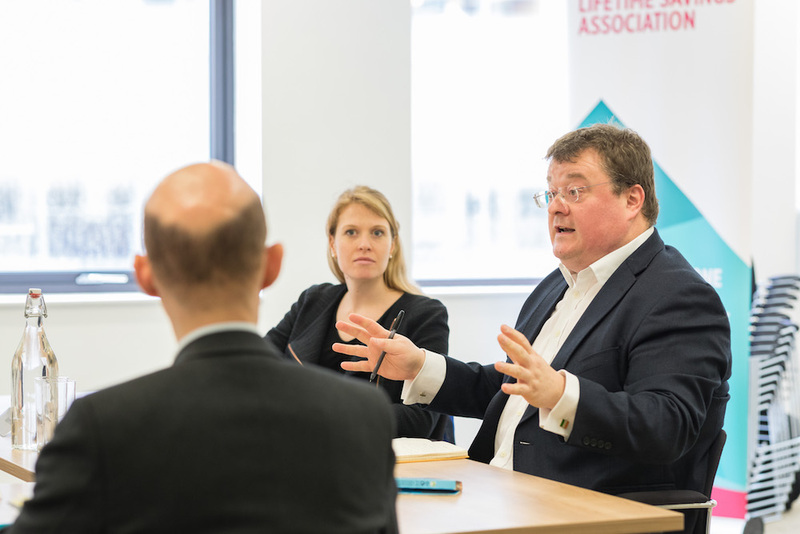 We’ve spoken to a lot of PLSA members about this issue, and we’ve found that it’s something everyone knows pension funds need to get to grips with, but they don’t always know how. That’s why we were pleased to hold a roundtable event on this topic with KAS Bank in May. Floyd: To what extent is (a lack of) cost transparency a major governance risk/blindspot? Levy: It can be a blind spot. It is particularly important for DC where cost has a more direct impact on members’ benefits in the long-term. Sharman: There is a difference between DB and DC, but from a trustee perspective it is all about governance and making more informed decisions, so the better the information I have, the better decisions I can make for my members. There are many trustees and schemes unaware of what we call the total cost of ownership, and the detail that sits under that. It is therefore a big potential governance risk. Jones: I’m not sure there is such a difference between the impact on DB and DC schemes. The Railways pension is a shared cost scheme, so as far as our DB sections are concerned, the employees have skin in the game like the employers do. We have tried to understand costs better and take steps to reduce them – and have the scale to do so. It will be a bigger issue for small and medium-sized schemes, who can’t employ a squadron of people or leverage scale with their suppliers. So a governance issue, yes, but not universal. understand the cost of trading and so on, we have found that the cost of that transparency can be quite high. We’ve been pleased to see progress around the DCPT industry template. It’s a good start, but not everything you need. What is unhelpful is other industry groups looking at different things for managers to report. We need an industry standard way of reporting and, to be fair to the manager, they need that as well, as making changes to their systems is expensive. Parish: The lower to middle end of the spectrum have more of a governance challenge when it comes to understanding costs. I’m not suggesting costs are bad – costs are costs and they need to be put into perspective as to what you as a pension fund buys. You can’t look at costs in isolation if you don’t have the full details and performance data as well. Escott: We are seeing a lot more awareness about investment returns and the value of pensions, and we are also seeing many more complaints being made to the pensions ombudsman and financial services ombudsman. It is therefore a growing governance risk, particularly in DC. If trustees in DB and DC schemes can’t show they are on top of scrutinising costs and getting the best possible value for money, they may be storing up trouble for the future. Foster: From a product perspective, we want to help schemes of all sizes uncover what is called their total cost of ownership. This includes the costs of running the legal entity of the scheme in addition to investment costs; including charges that have previously been unreported or undisclosed. A UK standard would be very useful to drive cost transparency across the industry. Floyd: What are the costs that are not commonly disclosed/reported? Sharman: We talk about costs not commonly reported rather than not disclosed. We often say that trustees don’t know what they don’t know, and they haven’t previously asked for the information and so asset managers haven’t given up that information. Rather than hidden or undisclosed, it’s not been reported. Levy: In the past, people have understood investment costs are X per cent of Y, but not necessarily understood what lies beneath. The size of the scheme is also important, not only from the point of view of governance, but because of the terms you may get. A smaller scheme is unlikely to get the same economies from an investment manager as a very large scheme. Clark: There are also differences in asset classes. The equity market is relatively easy, but for bonds and credit it is much more opaque and there is no standard test. You could end up spending quite a lot of money to understand your costs in order to drive those costs down. Jones: The asset class point is well made – and just think of all the jurisdictions around the world. We might be able to come up with a standard for UK equities, but emerging market debt may prove to be much more difficult. That standard might only be applicable to a fraction of the assets held – and not all costs are bad. If by paying a larger charge the member gets greater protection, or better performance, there is value in that which should be included. Floyd: So, how will pension funds benefit from greater transparency? Escott: Through better tools to understand the costs of various service providers and to get a better grip as to how good a service provider is in terms of value for money. On a larger scale, transparency could have a key role in the storytelling of pensions and financial services in general, be they asset managers, consultants, actuaries, etc. Floyd: So that would mean it falls in step with some of the aspirations of the DB white paper? Escott: The white paper and some of the findings of the CMA’s consultant investigation, which has been very much focused on how to improve the skills of the demand-side while also looking at how to improve the standardisation and quality of data from investment consultants and other third-party providers. Clark: Looking at trading costs was helpful in the manager selection process, and transparency and openness absolutely builds trust with our members, but too much information can sometimes undermine that because charges may make a fund look high and they don’t understand the interplay between costs, performance and risk. Levy: Cost transparency can also help with competition. Just asking the question can help expose an anomaly. Regular reviews are also useful. For example, a historic fiduciary management arrangement was reexamined and found to be out of line with current pricing, and there was an immediate saving to be made. Floyd: There is a fantastic amount of information available, so why isn’t more of this being done? And just how much do trustees need to know? Parish: There is no-one banging on the door to tell a scheme they must do it, so it remains a ‘nice to have’ rather than ‘need to have’. Whatever data collection standard we employ in the UK, it needs to be at a level that is of benefit to trustees, which does not swamp them. There is a danger we may go down a road where the number of costs or in-depth analysis around costs will lead to analysis paralysis. industry time to determine what worked and what didn’t, and with that the industry built on the protocols each year. Foster: A lexicon of cost definitions would enable the industry to adopt a standard and we are happy that the FCA IDWG has initiated that lexicon of cost definitions. 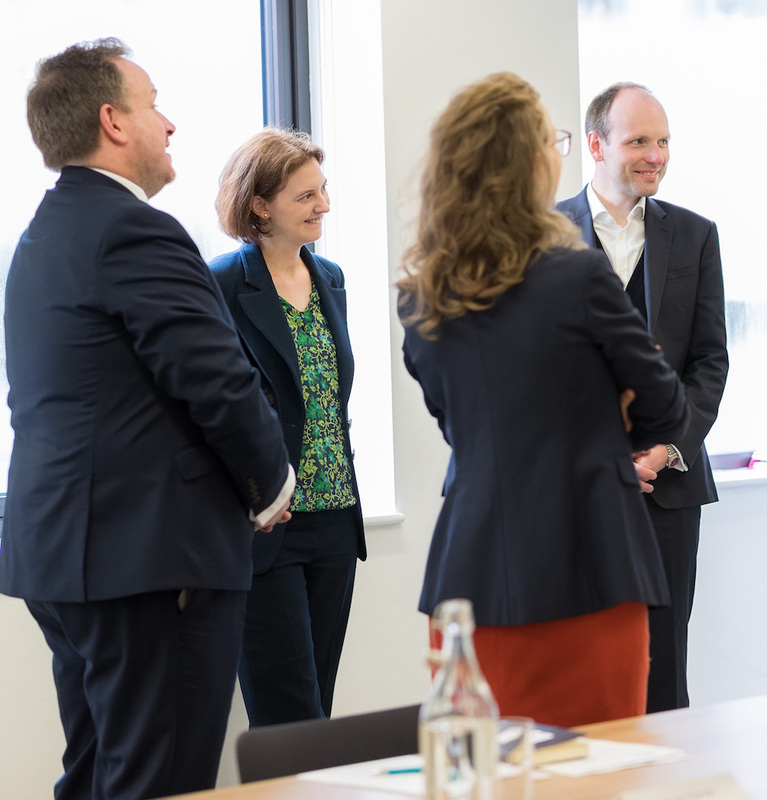 We must also help the industry move forward by educating trustees – cost-effectively – to help service the market in this area as it can get complex very quickly. Trustees have huge agendas to contend with, generally little time, and in some cases limited knowledge and resources to deal with cost transparency requirements. Jones: That’s interesting. Trustees have their TKU obligations, and having sat an exam recently the syllabus was almost silent on the topic of costs. Trustees are reminded frequently of their numerous responsibilities, and this is not really on the radar. Floyd: Which partners should trustees look to for support in this matter? To what extent is it the role/responsibility of the consultant/asset manager/custodian/other? Parish: Custodians are naturally at the forefront as they hold a lot of investment data on behalf of schemes, and can leverage the relationships they have with the asset management world. 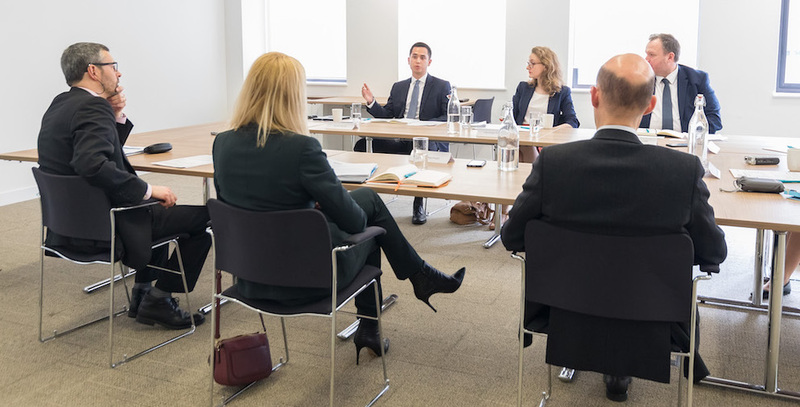 Clark: I agree the custodian is the place to provide this, but on behalf of the asset manager, as you won’t have any contentious arguments about asset managers sharing position-level data with in-house teams they may consider to be competitors. Sharman: As a pension fund you usually employ the custodian to provide valuations as an independent party. They can also deliver performance measurement, risk analytics and other governance data. Cost data just sits alongside that governance data. Clark: I fear that consolidation at the pension fund level will only make managers less willing to share data, even with an independent third party. Sharman: The Dutch market is almost totally managed in-house, and they conduct this on behalf of the scheme, collecting the costs from the asset managers, and provide that data to the regulator. It’s a proven model that works. Floyd: Can the industry improve cost transparency alone or does it require a guiding hand? If so, what should be the role of the regulator? terms of costs, whilst ensuring they evaluate value for money in the context of strategy, performance and risk. Escott: There is a role for the regulator to get more actively involved, not only in terms of using the template, but also in terms of bringing the whole investment chain into the room. Jones: The consolidation point is an interesting one and we find some managers who will not supply data as they have no legal obligation to do so. That is very frustrating and no degree of consolidation is going to resolve it. I don’t know if we need regulatory intervention or a standard, but something has to change. Levy: The chair’s statement will encourage trustees to consider value for money within the context of their scheme. I am less convinced it will be of as much benefit for informing members, as you may get some fairly generic responses, particularly from smaller schemes. Floyd: Naomi, how much is this about governance rather than communication? Clark: For me, it is all about governance. Communication should be to tell members that the scheme is well governed and how it is well governed. It will be more helpful to explain to members what you do than to provide them with all the outputs of what you do. If the trustees and consultants are doing their job, the member shouldn’t have to worry about this stuff. We talk about regulation and cost and value for money and there is a lot of pressure, but that is coming rather early in the DC journey. We have not yet created any DC schemes that are very sophisticated in the UK, compared to somewhere like Australia. The focus on cost may drive the wrong kinds of products. We’re looking at putting illiquid assets into our DC section’s default fund because we believe it is the right thing to do for members. That is quite expensive, and there’s a danger we may reach a public determination of how much you should pay for something before we have even worked out what that something should be. That doesn’t feel right to me. Floyd: Where do you stand on what needs to be communicated to members? Is it a governance issue? Jones: It is predominantly a governance issue, and that is because most members will stay in the default fund. You can communicate whatever you want to them about costs, but they will continue paying x% into the default until they retire – and that’s why we have to get the default right. Levy: There are more important things to be communicating to members, particularly in DC – in terms of how much they should be saving, what lifestyle choices they should make, the kinds of funds they will be in, etc – and members may only have a certain amount of bandwidth to think about all of this. Sharman: We generally give too much information to DC members, so I would focus on a simple message in the first instance. However, those that do go outside the default fund need to make an informed decision and understand there are other choices and how they might affect their potential retirement income. Escott: I’m more optimistic about member communication being framed to encourage people to think beyond the default fund. I will be interested to see what happens with DC transaction and other charges further down the track. Foster: The key thing for me is that it goes back to simplicity and visualising the necessary information that I receive in an easily digestible format. The role of technology is key to help get succinct messages across. 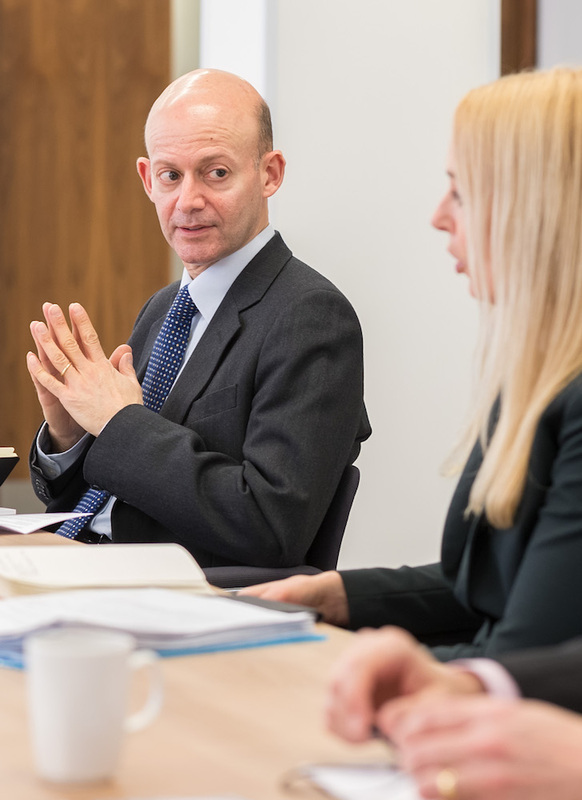 Sharman: In respect of DB even a scheme of two or three billion in assets may have 25+ asset managers, so there’s really only one way to do this across 5,000+ DB pension schemes through standardisation. That means standardise what you want collected, standardise the output to trustees and then hopefully we will adopt a standard approach for communication to members. Floyd: To what extent do you think cost transparency will make a meaningful change – or improvement – to standards of governance within the UK? Parish: It will make a huge difference. As a nation, we want transparency in all areas of our life, and people will want greater certainty of what they are paying in, can expect at retirement and how much it costs them. Escott: It is really important, but cannot be seen in isolation. Standardised information will be great, but you have to look at the ability of trustees and the capacity of their governance structure to be able to use and act upon this information. It must be part of the process, not the be all and end all. Foster: I believe cost transparency can reinvigorate trust at all levels in the pensions industry. I believe it will also enhance efficiencies of the market which this £2 trillion market will benefit from. Jones: If you can’t measure it, you can’t manage it – and we’ve got to get better at measuring it. But it is so complicated and so perhaps the way forward is to select something achievable and build upon that. Levy: Cost transparency is important and if nothing else it puts costs on the trustees’ agenda and gets them asking the right questions. Sharman: We could learn from the Dutch pensions industry – it’s not perfect, but one of the better governed systems. Let’s take it progressively, let’s be collaborative and let’s have an industry standard.